This paper reports on the pre and post conservation diagnostics of a 14th century icon, the Virgin with the Child and a Saint, by an unknown author, belonging to the Library of Taormina, Sicily. A set of non-invasive imaging techniques for the investigation of the small painting was applied before and after the restoration treatment. The methods used included technical photography (UV Fluorescence, UV Reflected, Infrared, Infrared False Color, and Infrared Fluorescence), Infrared Reflectography (IRR), Reflectance Transformation Imaging (RTI) and two spectroscopic imaging techniques, Terahertz Time Domain Imaging (THz-TDI) and Reflectance Imaging spectroscopy using a Multispectral Imaging system (MSI). At the end of the investigation, an identification of the palette has been attempted, crossing the results obtained by reflectance spectra analysis with those obtained by the other imaging techniques. THz-TDI examination gave a substantial contribution to the understanding of the gilding technique. An accurate examination of the surface has been performed with Reflectance Transformation Imaging (RTI) and with THz-TDI to locate cracks, flacking, incisions and material losses. Subsurface layers have been tested by THz-TDI, imaging the support-primer-paint interfaces. This study is a valid example of the application of non-invasive imaging methods before and after the conservation treatment of a work of art. It is well established nowadays that diagnostics is at the basis of any scientific conservation treatment. This paper presents the non-invasive imaging diagnostics, namely technical photography and spectroscopic imaging, of a 14th century gilded icon before and after its conservation. This multi-technique approach has been used to identify the materials and technique of the original painting, to detect previous restorations and additions as well as the nature and extent of the alterations present. The intention of these pre-conservation diagnostics was to provide key information to the conservator for the development of an appropriate conservation treatment. The diagnostics after conservation provided further information on painting materials thanks to the removal of the thick dirt film present on the painting surface, and allowed to evaluate the accuracy of the conservation treatment itself. This case study highlights the importance of a non-invasive diagnostics approach for artefact comprehension and for the evaluation of a conservation intervention. The study results are hoped to contribute to the literature regarding scientific examinations of medieval icons [1-3]. The 14th century icon represents the Virgin with the Child and a Saint (Figure 1). Its author is unknown and it belongs to the Public Library of Taormina, Sicily, who commissioned the conservation treatment to Angelo Cristaudo, conservator in Acireale (Sicily). The icon was affected by extensive damages: losses and detachments of the paint as well as lacunae in the wooden support (32 x 39 x 0.8 cm). A thick layer of accumulated dirt was substantially reducing the brightness of the gold background and the painting’s figures were barely recognizable. Figure 1 shows the icon before and after the restoration treatment. The icon was made as recommended by Cennino Cennini  instructions: a thin primer lies directly on the single plank wooden support and the gold background has been applied on red bole. The pre-VIS image shows the significant accumulation of surface dirt, hiding the complexity of colors and details that characterize the original aspect of the painting. A cleaning test exposed the intense red pigment of the vest of Jesus under the dirt layer, suggesting the color richness that was eventually revealed during the conservation treatment, as it may be observed on the post-VIS image. The hand-held microscopy images (HHmicro) were acquired with a Veho VMS hand-held USB microscope mounting a 2 MP camera. Technical photography was performed with a Nikon D800 DSLR camera (36 MP, CMOS sensor) modified for full spectrum acquisition (built-in IR filter removed). This camera was used for visible (VIS), infrared (IR), infrared fluorescence (IRF), ultraviolet fluorescence (UVF) and ultraviolet reflected (UVR) photography. These methods and the related imaging equipment and calibration procedures are extensively described elsewhere including the details of filters and lighting setup [5-7]. The same camera was also used for the RTI (Reflectance Transformation Imaging) documentation  in both visible (VIS-RTI) and infrared (IR-RTI) photography. Infrared reflectography (IRR)  was performed with an InGaAs camera (320×256 pixels) Merlin NIR by Indigo Systems. Terahertz Time Domain Imaging (THz-TDI) was accomplished with a Picometrix T-Ray 4000 device with its terahertz transceiver head mounted on an XY-scanning stage. The system is extensively described elsewhere . The painting was scanned in 500 µm steps, using a 320 picoseconds (ps) measurement window, a time increment of 0.078 ps (detector time-resolution) and a reflection configuration at normal incidence. Reflectance Imaging Spectroscopy was performed with a CCD monochromatic (grey tones) camera (PixelTeq SpectroCam VIS) and 12 interferential bandpass filters also commercialized by PixelTeq. The method is referred to as MSI-12 and the filters used are (center wavelength/bandwidth nm): 425/50, 475/50, 532/16, 578/10, 620/10, 669/10, 680/10, 717/10, 740/10, 750/10, 780/20, 800/10. Figure 2 summarizes all the methods applied. The diagnostics images taken before and after the conservation treatment are indicated, respectively, by the prefixes “pre” and “post”. Figure 1. Photos before (pre-VIS) and after (post-VIS) the conservation treatment. The dashed frame indicates the cleaning test on the vest of Jesus. Figure 2. Summary of the methods applied before (pre) and after (post) the conservation treatment. The hand-held microscopy images in Figure 3 are useful for a preliminary examination of the artwork. The usual gilding technique is visible in point 6 where the gold leaf is partially removed; between the primer and the gold leaf there is a red bole layer to provide adhesion and intensity to the color of the metal. Shell gold (pulverized gold used as a pigment with a binder) has been used to trace some details of the robes and aureoles, points 2, 3, and 8. Restoration retouching has been done with tratteggio technique: integration of lacunae with thin vertical lines perceived as uniform color when seen from a distance. The original dark green paint of the Virgin’s vest (point 3) was damaged on the sleeve and it was integrated with tratteggio, showing the characteristic minute brushwork (point 7). Point 1 on the red decoration of the Virgin’s vest and point 4 on the mantle of the Saint show the particularly dense craquelure which characterizes the original paint. Differently from the dense paint of the other points, the green of the vest of Jesus (point 8) is very thin and transparent, such as a lake. Figure 3. The Virgin with the Child and a Saint after cleaning and conservation (center). On the sides, hand-held microscopy images. Figure 4. Pre-UVF, post-UVF, post-UVR. Detail. post-VIS, post-UVF and post-UVR. The dashed frame localizes the cleaning test on Jesus’ vest. Ultraviolet photography is an essential part of diagnostics imaging. The fluorescence emission comes mostly from the surface layers and, traditionally, UV fluorescence photographs are used to identify different varnishes and over-paintings. Occasionally, fluorescence colors are considered to give some indications of the pigments and binders used, but they are seen as a secondary rather than a primary technique for identifying these materials. Because of the surface thick layer of dirt, the pre-UVF image turned uniformly dark and featureless. On the other hand, the post-UVF image revealed a strong UV pale white fluorescence in correspondence of the white parts of the paintings, a weak reddish fluorescence in correspondence of some red areas (red robe of Infant Jesus and red highlights of Madonna's mantle) and different shades and intensities for the fluorescence in correspondence of the retouches (Figure 4). UVR was acquired just after the completed cleaning since the layer of surface dirt would have prevented the transmission of any UV light reflected by painting materials. This technique is very effective for mapping retouches made with modern white pigments, zinc white and titanium white, which strongly absorb the UV light. Infrared photography is recognized as a valid tool for the inspection of a painting hidden by thick dirt or opaque varnish. The pre-IR image allowed a clear understanding of the details of the composition even before the cleaning treatment, as illustrated in Figure 5. Infrared photography was also indispensable to inspect the painting for underdrawings and pentimenti and infrared reflectography was also performed because of its ability to penetrate further through the pictorial layer. Once the thick veil of dirt was removed, the contrast between pigments absorbing IR and those reflecting or transparent to it increased, and the post-IRFC image (Figure 6) provided useful information for preliminary pigments identification. Very few pigments exhibit fluorescence in the infrared region when irradiated with visible light (IRF photography): cadmium-based pigments and Egyptian blue [7, 11]. The bright spots visible in the post-IRF image highlight the retouches made with cadmium-based pigments (Figure 7). Figure 5. Pre VIS, pre IR, post IR and post IRR. Figure 6. Pre-VIS, pre-IRFC, post-IRFC and post-VIS. Figure 7. Pre-VIS, post-IRF and post-VIS. Detail, post IRF and post-VIS. THz-TD imaging was used to understand the gilding technique used by the artist for the background (Figure 8). Gold reflects THz radiation and it is then immediately identified in the THz image thanks to its brightness even when the gold is under the paint layer. The squared edge of the gilded finishes found behind the pictorial layer, clearly demonstrates that the master used gold leaves for gilding. 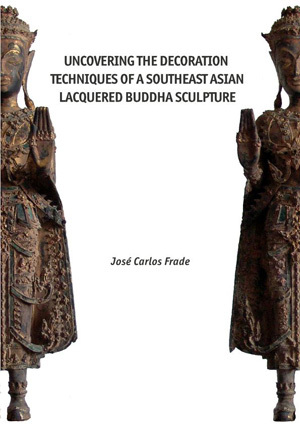 Furthermore, the technique facilitated the localization of the delicate gilding used for tracing decorative motives on the figures’ dresses which were not clearly noticeable by naked eye inspection owing to the thick dirt layer. THz imaging also contributes to pigments identification thanks to the different reflectivity of some pigments in the THz range frequency examined . The examination of the stratigraphy and condition of the subsurface layers of the icon, highly relevant in conservation when stability problems such as delamination or internal cracking are considered, was also provided by the THz images of the support-primer and primer-paint interfaces. The monochromatic camera and the set of 12 bandpass filters provide reconstructed reflectance spectra that are used for pigments mapping and preliminary identification. A classified image clusters the pixels with similar reflectance spectra and assigns them a false color. The classified image of the painting is shown in Figure 9. The same figure shows the reconstructed reflectance spectra of some points whose hand-held microscope images are shown in Figure 3 and reference reflectance spectra from an online database . The false colors of the classified image correspond to the colors of the spectra of the graph. The classified image has been useful to examine the painting, distinguishing original pigments from retouchings (grey false color). The RTI documentation, both in visible and infrared light, was performed to examine the low relief details of the icon’s surface. RTI made with infrared photography is useful for the inspection of the ground condition thanks to the transparency of some pigments in the infrared range. RTI is suitable to locate and document retouchings due to their discontinuity with the original paint and other surface features such as incisions, cracks and detachments. Figure 8. Pre-VIS, pre-IR, THz (air –paint interface), THz (primer-paint interface), THz (support-primer interface), photo of the wooden support. Figure 9. MSI-12 classified image and reflectance spectra of 6 points. Figure 10. Post-VIS and post-IR images of 2 details. IR imaging allowed inspecting the painting for underdrawing and pentimenti. Figure 10 shows and example of both: the brushwork done with the verdaccio - the green earth based paint used to outline the figures’ skin - partially visible already in the post-VIS image on the Virgin’s neck becomes more distinct in the IR; on the left arm of the Saint there is a pentimento on the forearm that was larger and eventually reduced, hidden by the green paint of the vest of the Saint. Figure 9 shows the classified multispectral image the 9 points that are discussed for the identification of the pigments. Point 1. The red decorations of the Virgin’s veil. The MSI-12 reflectance spectrum of point 1 in suggests vermilion mixed with red ochre since it shows the S-shape that is characteristic of ochres and has the inflection point at about 600 nm of vermilion. The attribution to this pigment is also backed by the THz-TDI image where these same areas appear bright. Vermilion has a high reflectivity within the explored THz frequency range [12, 14] and the THz-TDI imaging provided a good indication about the presence of vermilion on the red decorations and highlights of the Virgin’s veil as well as on the vest of Jesus. Point 2. The scarlet red on Jesus’ vest. This is a more brilliant red than the red decorations of the Virgin’s in point 1. Its reflectance spectrum indicates pure vermilion because of its sharp inflection point at 600 nm. The classified image in Figure 9 successfully maps this pigment (orange false color) and differentiates it from the less pure mixture with red ochre (dark red false color). This hypothesis is supported also by the THz imaging where this area (point 2) appears even brighter than that the one where point 1 is located. 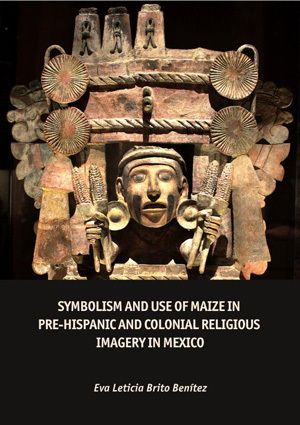 The different compositions of the red decorations on the Virgin’s veil and of the red vest of Jesus is indicated also by the IRFC which shows a bright yellow false color for the vest and a bright orange for the veil (Figure 6). Furthermore, when investigated by UVF, Jesus red vest exhibits a weak reddish fluorescence that can also be attributed to vermilion laid with tempera (Figure 4). Point 3. The dark green of the Virgin’s vest. The IRFC (bright red) and the other imaging methods suggest that the pigment used for this garment and the vest of the Saint is the same. The reconstructed reflectance spectrum is flat in the visible with an increased reflectance in the infrared region. These features rule out the usual green pigments used in the medieval times such as malachite and verdigris, which have a strong reflectance maxima in the green region and, together with green earth, they absorb infrared. This green seems to be a more likely mixture of yellow and blue. Point 4. The light green of the Saint’s mantle. This paint seems to be a green earth because of its flat reconstructed reflectance spectrum all over the visible and infrared regions and because it shows a brownish IRFC. Point 5. The yellow of Jesus’ hair. Its reconstructed reflectance spectrum features the S-shape of yellow ochre, although valid hypothesis since this pigment doesn’t show any special features with the other imaging technique used. Point 8. The green of Jesus’ shirt (point 8). It appears extremely bright in IR and IRR, excluding the presence of an inorganic green pigment (Figure 5). The reconstructed reflectance spectrum of this light green is characterized by a sharp inflection point at about 725 nm, suggesting a mixture of indigo, responsible for this inflection point and a yellow pigment. The high reflectivity of this paint also in the far infrared is demonstrated by the IRR image. Point 9. The figures’complexion. Concerning the white pigment used to enlighten and define figure´s complexion, complementary information provided by the imaging techniques points to lead white. This is the white pigment which has the highest reflectivity in the used THz range and indeed the white highlights are moderately bright in the THz image. The other two common modern white pigments, zinc white and titanium white, could be excluded observing the UVR image (Figure 4), because there was not white paint appearing as dark areas in the UVR image. Also lithopone could be ruled out thanks to the reconstructed reflectance spectrum which doesn’t show the pigment’s characteristic absorption bands in the infrared region. Binder. Analytical examination of the paint was not pursued but the whitish UV fluorescence on the figures’ flesh is typical of a tempera binder, as consistent with the style and age of the icon (Figure 4). Retouchings. The areas retouched are localized with post-UVF (Figure 4), with the classified multispectral image (grey) and with post-IRF which just shows the retouchings in cadmium red and cadmium yellow (Figure 7). THz-TDI has been able to locate the squared edges of the applied gilding leaves under the paint layer; they are clearly defined at the contours of the figures’ faces in the vicinity of the aureoles. The gilder used gold leaves as recommended by Cennini . It is important to point out that the identification of the gold leaves under the paint was possible only with THz imaging and, indeed, even IRR could not penetrate as much deep into the paint (Figure 11). Before the cleaning treatment some areas of the gilding appeared very darkened but the same areas appeared bright in the pre-THz image, suggesting a solid gold leaf, as shown in Figure 12. Indeed, after the cleaning these areas showed to be the ones better preserved thanks to the hard varnish that had preserved them from previous cleaning which degraded the gold leaf elsewhere. Furthermore, before cleaning, THz imaging facilitated the location of the gold powder (shell gold), probably applied with a brush, used to trace decorative motives on the dresses of the figures (borders and floral motives of the Virgin’s veil and straight lines on the vest of the Child), helping in preserving them by cleaning agents, as shown in Figure 13. Figure 11. Pre-VIS. Detail: pre-VIS, pre-IRR and pre-THz. Figure 12. Pre-VIS. Detail: pre-VIS, pre-THz and post-VIS. Figure 14 shows the IR-RTI image of a detail of the icon showing a number of retouches, recognizable by their lower profile. RTI was also used to inspect the icon for incisions in the folds of the garments and in the contours of the figures as this was a documented practice for tracing the underdrawing for this kind of art  but none was found by naked-eye and RTI inspection in this case. On the other hand, IR-RTI image revealed some raised vertical lines that follow the length of the painting. Figure 14 shows one of them going across the vest of Jesus. This line is located between two grains of the wooden support as seen in the THz support-primer interface image and, therefore, can be explained as a consequence of stress inside the panel. THz-TDI in reflection geometry is capable of highlight interfaces between layers in a stratigraphic build-up and it makes structural information available. This contactless and non-invasive technique has been already successfully applied for the investigation of panel paintings and other multilayered artworks [10, 15]. In this case, the THz images of the interface support-primer and primer- paint didn’t reveal relevant structural problems or flacking of the paint (Figure 8). The primer layer does not seem to be affected by significant alterations. Imaging of wood grain has been possible with THz-TDI, and it turned effective for understanding the nature of longitudinal cracks on the paint surface, highlighted in detail by IR-RTI investigation. Figure 13. Detail, vest of Jesus. Pre-VIS, pre-IR, pre-THz and post-VIS. Figure 14. Detail. Post VIS, IR-RTI, THz (interface support-primer). We have presented a comprehensive non-invasive imaging diagnostics of a 14th century gilded icon before and after its conservation treatment, highlighting the importance of combining different methods to achieve convincing conclusions about painting composition and condition, through its detailed inspection from the paint surface to the wooden support. Pigment identification has been attempted crossing the results from reflectance spectroscopy imaging (MSI-12) and those obtained from the other imaging techniques (UVF, UVR, IR, IRFC, IRR, and THz-TDI). The applied methods successfully designated most of the pigments in the painter’s palette with reasonable confidence. We can assume that lead white, vermilion, red ochre, yellow ochre and green earth were used. More difficult was the study of the other two greens found, probably yellows and blues mixtures (MSI-12 spectra analysis suggests the presence of indigo in one of them). On the other hand, being capable of mapping the surface distribution of pigments, imaging methods proved very useful in pointing out areas of interest for further studies with non-invasive and invasive analytical methods. The original gilding technique used by the artist has been identified by THz-TDI scanning: the square edges of the gilding imaged behind the pain layers led to the conclusion that the gilding background was made with gold leaves. Immediately behind the surface paint layer, brushworks sketched by verdaccio to outline the figures’ skin become more distinct on the Virgin’s neck by IR inspection, while on the left arm of the Saint a pentimento has been observed. By means of THz-TDI, subsurface layers (primer and wooden support) have been imaged. The primer layer does not seem to be affected by significant alterations. Imaging wood grain has been possible with THz-TDI, which is effective for understanding the nature of the longitudinal crack on the paint surface, highlighted in detail by IR-RTI investigation. Located between two wood grains, the origin of the crack appears to be connected with mechanical stress arising from the interior of the panel. Our study has shown the utility of performing diagnostic imaging prior to restoration intervention, since it provided key information to the conservator about the composition and condition of the icon from the surface paint film down to the support and it allowed him to develop an appropriate conservation treatment. In this context, THz-TDI facilitated the location of the delicate gilding used for tracing decorative motives on the figures’ dresses which were not clearly noticeable by naked eye inspection owing to the thick dirt layer. This allowed him to protect them properly from aggressive cleaning agents, permitting their preservation. Furthermore, THz-TDI helped in excluding serious structural problem thanks to the images of the primer and the wooden support layers. This paper also illustrated the importance of diagnostics imaging even after the cleaning treatment. The thick dirt layer limits information obtained by pre-UVF, pre-UVR and pre-IRFC images regarding painting materials while, after the cleaning, these images returned a number of information on original pigments and binder. Finally, the information collected by this research is of importance for the understanding of medieval icons. The multispectral imaging documentation was possible thanks to PixelTeq which kindly provided the SpectroCam VIS and the set of interferential filters presented in the paper. We also want to thank the Public Library of Taormina for the use of the images and data of the icon for this publication. A. Cosentino “Iden­ti­fi­ca­tion of pig­ments by mul­ti­spec­tral imag­ing a flow­chart method” Her­itage Sci­ence, 2:8, 2014. A. Cosentino “Macro Pho­tog­ra­phy for Reflectance Trans­for­ma­tion Imag­ing: A Prac­ti­cal Guide to the High­lights Method” e-conservation Jour­nal 1, pp. 70–85, 2013. 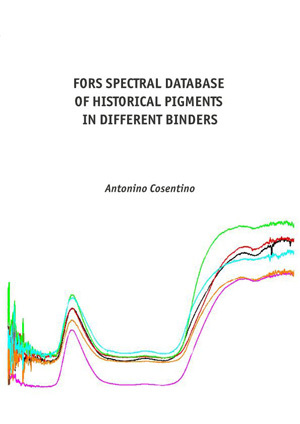 Dr. Antonino Cosentino is a PhD Physicist specialized in Cultural Heritage Science and his goal is to promote innovative and affordable instrumental solutions for technical documentation and examination of Art. He’s currently working on his private practice service providing art documentation, training and consulting for private professionals and institutions and he’s blogging on Cultural Heritage Science Open Source, chsopensource.org.